By turning a few dials you can make the browsing experience even zippier. Chrome is already the most popular and powerful browser for your PC, but you may be missing out on more ways to improve your experience. Delve into Chrome’s massive extensions library or tinker with under-the-hood features, and see how you can enjoy smarter, faster browsing. Chrome has a considerable network of extensions, some of which can be found in the Chrome Web Store, while others are available from particular providers. For the most part, extensions, err, extend what your browser can do, connecting to your favorite services so you can do most of your work in Chrome and get it done faster. Many Chrome extensions can be found in the Chrome Web Store, while others are available from particular providers. One of your first stops should be the Chrome Data Saver extension. 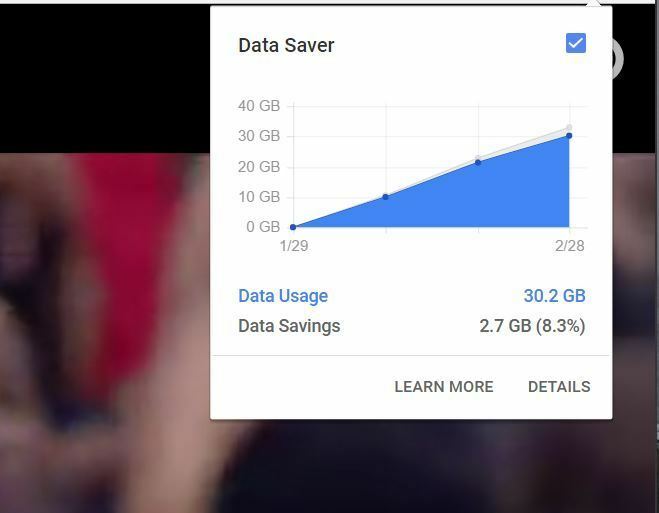 Google’s Data Saver extension can speed up your browsing and save you a few gigabytes here and there. It compresses sites that aren’t served over a private connection (HTTPS) or in incognito mode, using Google’s servers to give you an optimized version. In other words, your browsing will be faster and use less data. The only hope you have against the Internet’s relentless firehose of content is some sort of read-it-later service. You have plenty of choices, including some handy Chrome extensions. Pocket is probably the most comprehensive of the batch, although the premium service is costly at $45 per year. When Pinterest bought Instapaper the premium service became free. Development seems to have ground to a halt, though, and a pretty big outage recently has made me question Pinterest’s commitment to the quality of the product. 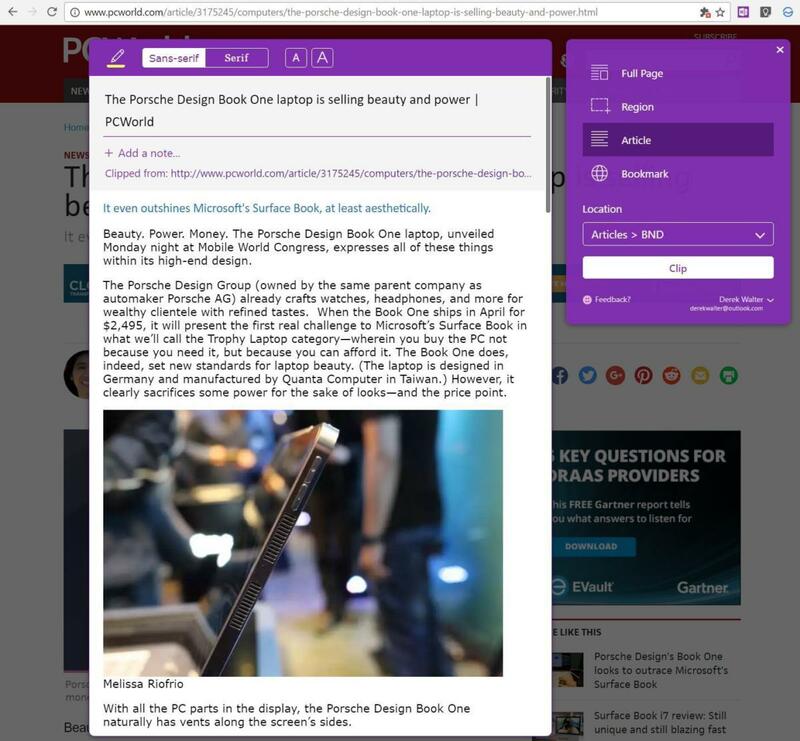 OneNote is one of many options for saving articles to read later. Evernote Web Clipper is a solid option, although without the premium level of Evernote (see the theme here?) you’re limited to syncing your notes and articles across two devices. I prefer using OneNote Web Clipper for this purpose, although I’ve found that articles don’t always reformat well on mobile. Google also has a stake in this game, and in typical Google fashion there are two distinct approaches. Both Google Keep and Inbox can save links to their requisite services, which makes them available for later retrieval in Chrome or on a mobile device. Despite the best efforts of Chrome’s engineers, much of the web can still slow you to a crawl. Pop-up ads and auto-play videos ambush you at every turn, throwing a wrench into your browsing experience. The best fix for this is Ghostery. It’s not just a dumb ad-blocker—you can pick specific background services and families of advertisements to banish. You’ll be amazed at how much quicker some sites load when you enable this. And if you white-list sites you enjoy, like, oh, PCWorld.com, then you’ll be letting us earn money so we can keep giving you great content. 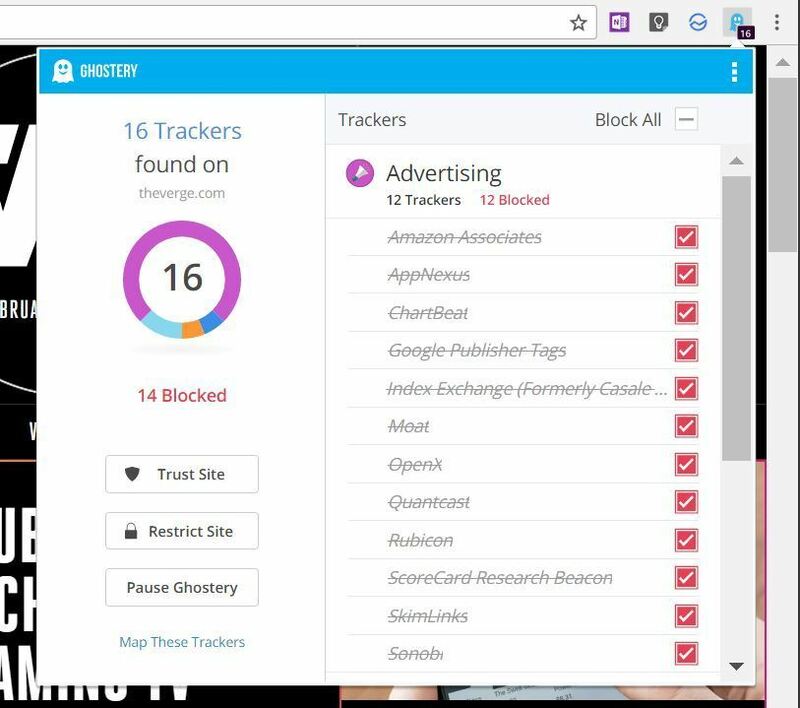 Ghostery is one of the best extensions for making your browsing faster and more private. 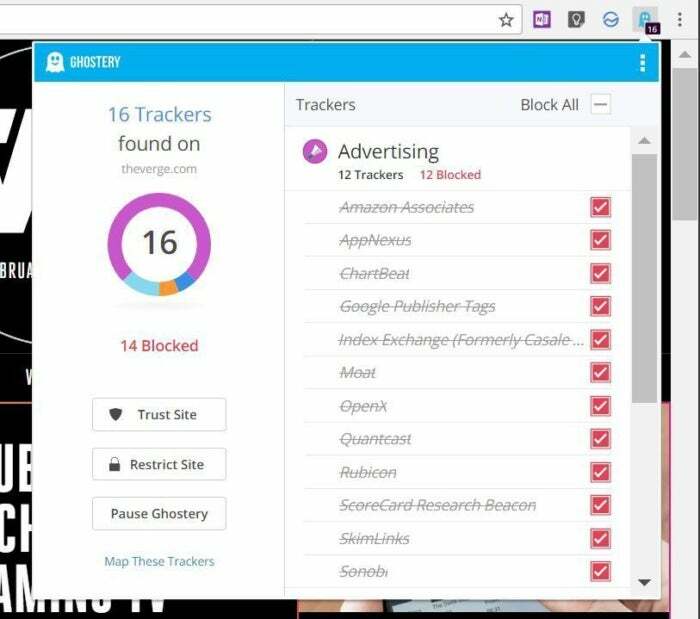 Additionally, you can focus on just some of the more onerous trackers, which you’re able to determine from the extension or Ghostery site. With more knowledge, you can make better choices about what to block. 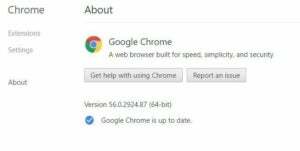 Every six weeks Chrome rolls out a major version update, and it usually packs in a lot of speed and stability improvements. While the browser will update automatically in the background, power users such as yourself will want the latest changes now. Keeping Chrome up to date is essential given the rapid pace of development. To do so, go to the settings by clicking the three vertical dots to the right of the URL bar. Then choose Help > About Chrome and you’ll see the latest version. If you’re not using the most recent build of Chrome, you’ll be prompted to get the latest version. The time-honored concept of less being more applies to Chrome as well. If you head to the settings, there are a few things you can tweak to give you a faster experience. Take Flash: By default, Chrome will run what it deems to be “important” Flash content. While Chrome will eventually move away from Flash completely, you can achieve that result right now. 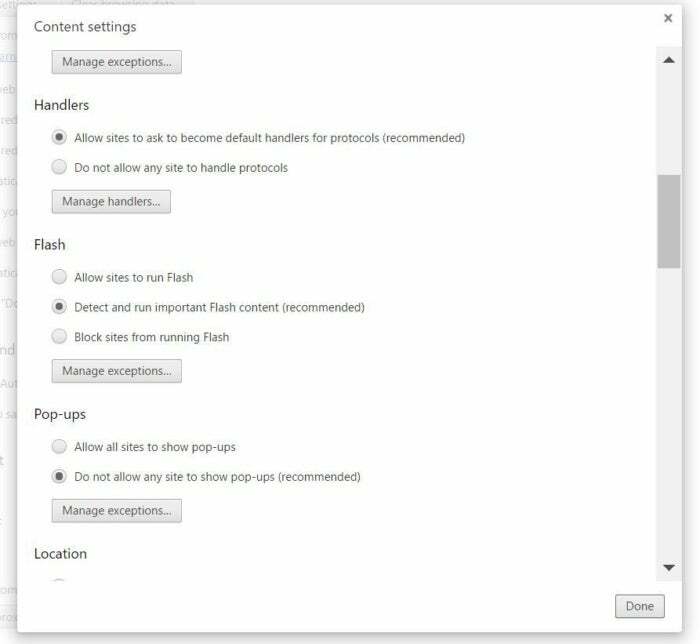 Under Settings > Privacy > Content settings you can select which sites allow Flash, or block it altogether. Unless there’s a site that needs it to work, you won’t miss the slowness. Seriously, you probably don’t need to use Flash at all. Additionally, Flash plugins can creep into your browsing over time. Click Manage exceptions and you can see which sites are on the “Allow” list. From this screen you can remove them. You can do the same with pop-ups, allowing them on particular sites where they’re essential. Block any plugins that you don’t want hanging around. This could be a good time to delve further into settings if you haven’t before, as there are a number of other opportunities here to fine-tune the engine. That’s really the key. Like any piece of software, you should get to know everything Chrome can do and tweak it to your liking. 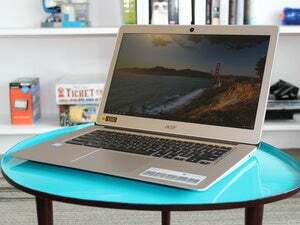 Only then will you be able to use Google’s browser with the ease and simplicity for which it was built.